Every year, enough sunlight shines on America to provide 100 more times power than we need. We just need to harness it. Yet we’re still not even close to reaching solar’s potential. Every year enough sunlight shines on America to provide 100 times more power than we need. We’re capturing a tiny percentage of it. Harnessing more of this power would mean cleaner air and a more stable climate; less strain on natural resources and more resilient communities; and an energy source we can depend on to be virtually pollution-free for as long as we can imagine. So what’s slowing us down? What, if anything, can stop us? In some places, we’re thinking too small, failing to update policies that would encourage even more Americans to go solar. In other places, we’re thinking too narrowly, putting the short-term interests of old industries with outdated business models ahead of our health, environment and well-being. 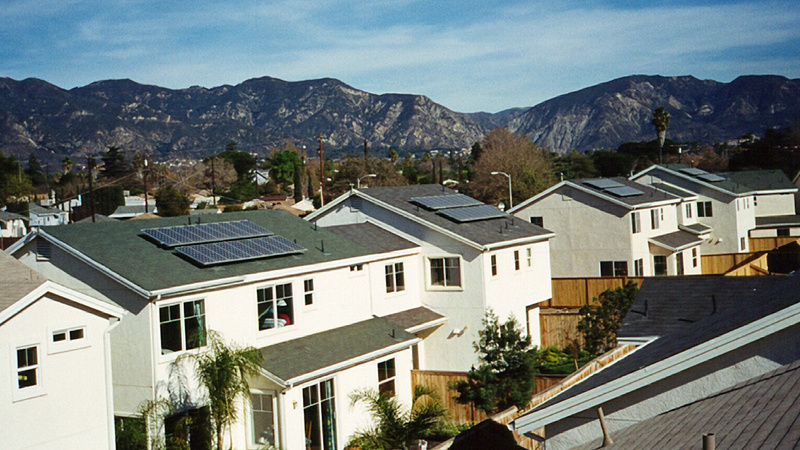 Cities are primary drivers of the growth in solar in America. In 2017, just 20 U.S. cities had as much solar power capacity as the entire country did in 2010. These cities account for 4 percent of U.S. solar capacity representing just 0.1 percent of U.S. land area. The cities that set higher goals, ensure homeowners receive a fair price for the solar energy they supply to the grid, make installing panels hassle-free, and provide attractive financing options are generating more solar than similar cities. That's why we're doing the research, educating decision-makers, and showing the public how their cities can lead on solar. 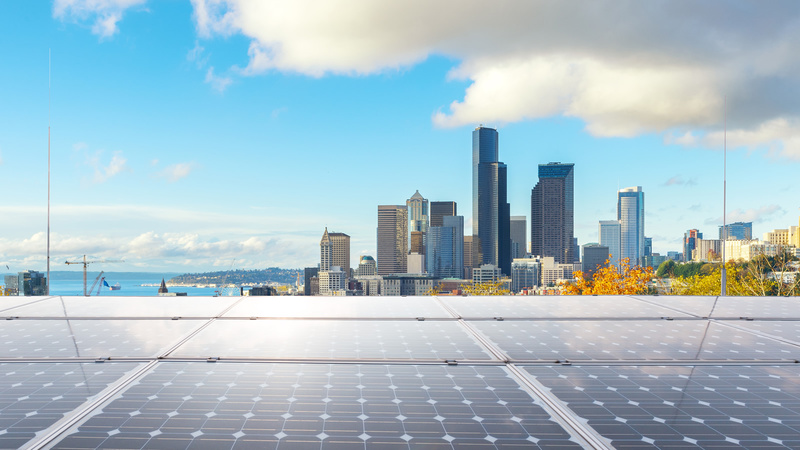 At the urging of our network, a bipartisan group of 180 U.S. mayors representing cities in 42 states resolved to make solar power a key element of their communities’ energy plans. We released our tool kit, “Ten ways your city can go solar,” to show citizens the steps their cities can take to tap into the virtually unlimited potential of the sun. Our report, "Shining Cities 2018," found that solar energy is more popular than ever, with enough capacity installed to power 10.1 million American homes. It also ranked the top 20 U.S. cities for total installed solar capacity, with Los Angeles coming in at No. 1. Even as we make the case for solar on environmental grounds, we’re bringing together a broad coalition that can offer a variety of reasons to persuade local officials to act — from “Green Tea Party” activists in Georgia who want “energy freedom” to solar installers in Arizona who want green jobs, from low-income communities in Massachusetts who want cleaner air to business owners in Colorado who want to power their breweries and cafes with solar. 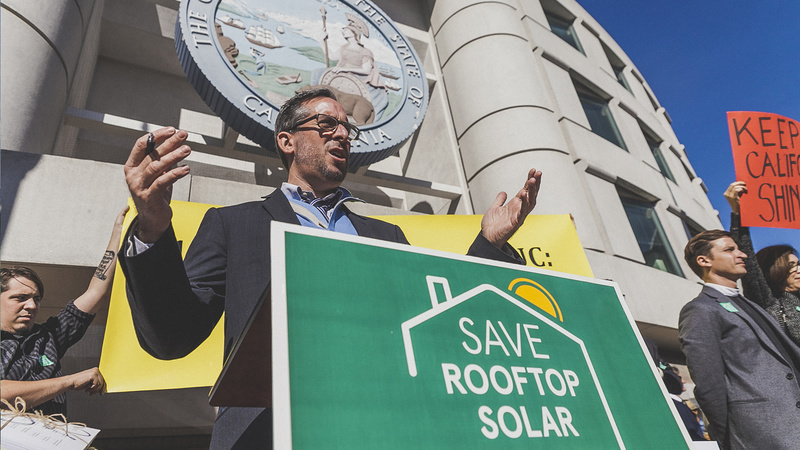 Yet with a president and Congress who range from hostile to indifferent in their attitudes toward solar power, it’s more important than ever that we act locally on solar. Every great technological advance disrupts one or more existing industries, and solar is no exception. A few utilities, including Green Mountain Power in Vermont, have embraced solar, retooling their business models around a grid with thousands of homes generating power as well as consuming it. Unfortunately, others have been less forward-thinking. Threatened by the growth of an energy source that requires less capital investment but smarter distribution, many electric utilities and their trade associations are pushing to roll back the policies that have enabled and encouraged solar’s growth. Fossil fuel interests, including the Koch brothers, have also lobbied regulators and others to weaken or dismantle these policies. Our report, "Blocking the Sun," found that electric utilities, fossil fuel interests and powerful industry front groups have been chipping away at the key policies that have put solar energy on the map in the United States — often in the face of strong objections from a supportive public. In Texas, El Paso Electric is attempting to place solar customers in a separate rate class and assess special charges and fees on their bills. In Arizona, utilities such as Arizona Public Service and Salt River Project have plans to invest in fossil fuels over renewable energy, and impose charges for solar customers that hamper rooftop solar growth. In Wisconsin, the Consumer Energy Alliance (CEA) — a Houston-based front group for the fossil fuel industry, representing fossil fuel companies like ExxonMobil, Chevron and Shell Oil — submitted 2,500 dubious signatures in support of a utility rate case to increase costs for solar customers. We’re countering misinformation with facts, including data showing how solar’s benefits to utilities and their customers outweigh the costs of pro-solar incentives. As in our Shining Cities project, we’re putting the environment first while bringing together leaders from an array of fields. America still has a chance to lead on solar, even with Donald Trump in the White House. But only if we sweep past the special interests that are clinging to the business models of the past.